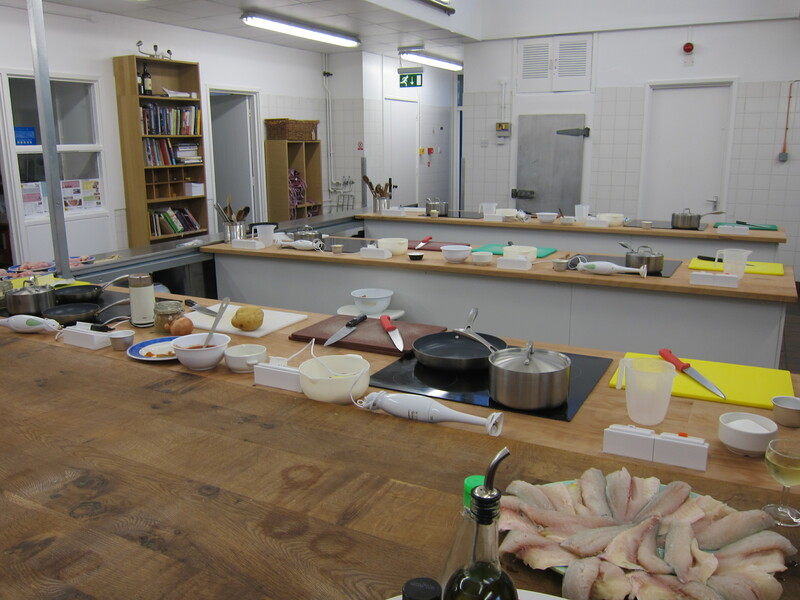 Square Food Cookery School – The Spice Trail; 3 recipes inside. One of our wedding gifts from our friends was some cookery school vouchers with The Square Food Foundation, we didn’t get around to starting to use them until now. The kitchen is a big light space with enough cookery stations for people to pair up. We sat with the chefs first while they talked a little about chillies and spices. Here are some points they raised… most of you will know these but I thought I would include them anyway. Take care when preparing chilli to avoid touching the eyes and sensitive skin; wash hands, boards and knives thoroughly after preparing chillies – wash with soap before adding water, as chillies are oily this will remove the heat. We made 2 dishes and ate 3, 1 Thai influenced, one Indian influenced and a dessert. This is a really tasty alternative to the greasy take away you might have eaten if you’d had slightly less energy. 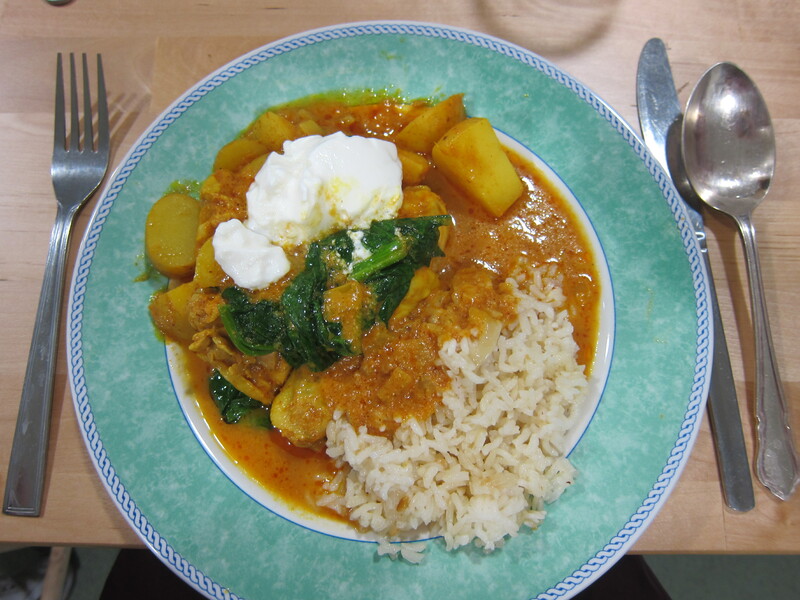 I like to serve it with a little yoghurt and naan bread for an inexpensive, warming meal. For the base, make a paste of the ginger, garlic and tomatoes. I use a hand blender, but you can chop the tomatoes and finely grate the ginger and garlic – the sauce will not be as smooth though. Stir in the spices, salt and yoghurt. Add the chicken and potatoes and leave to marinate in the fridge for 10mins. Heat the oil and butter/ghee in a medium non-stick saucepan. Add the onion and cook over a moderate flame, stirring often, until the onion is well browned on the edges, around 7-8 minutes. Add the chicken, potatoes and curry base and cook over a moderate-high heat, tossing the chicken in the paste quite often until small oil droplets start to form on the base or edges of the pan; this takes around 10-12 minutes. If it still isn’t cooked, you can add a splash of water and cook for another 5 minutes or until the water has reduced. Add enough water to come halfway up the chicken and bring to the boil. Cover and cook on a low flame until the chicken and potatoes are cooked through, around 12-15 minutes more (depending on the size of the joints and potatoes). 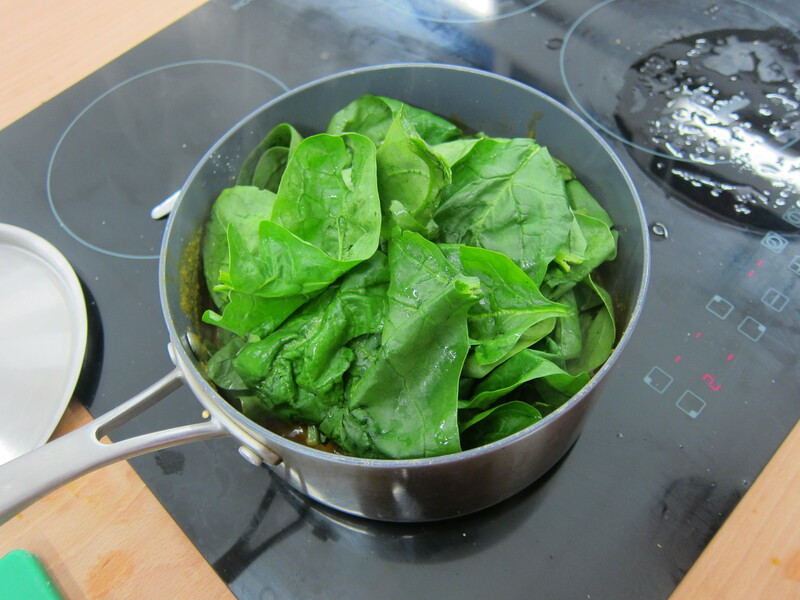 Add the spinach and, once wilted, taste and adjust the seasoning. 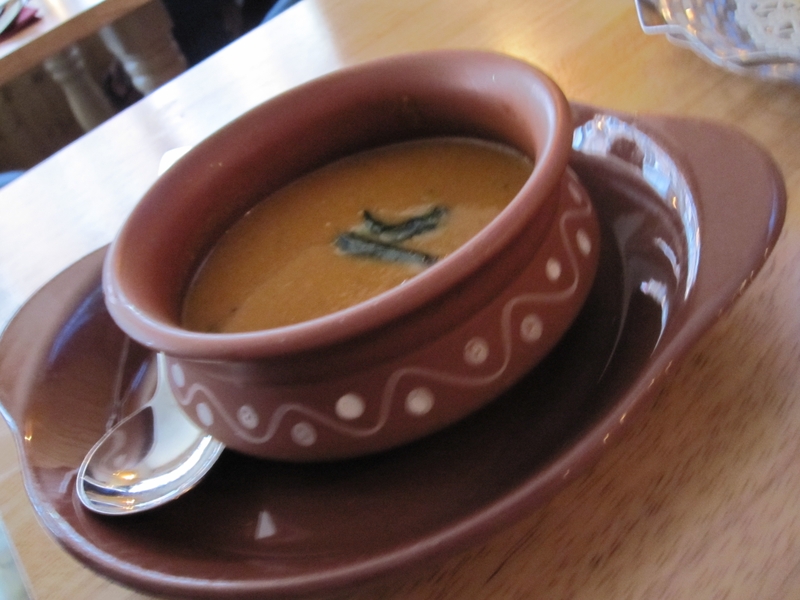 There should be enough of the sauce for a creamy gravy; if not, add a little more water from the kettle. If you add too much, reduce over a high heat. Stir in the coriander and serve. For the vegetarian alternative – replace the chicken with one small cauliflower, leaves removed and broken into florets. Treat in exactly the same way as the chicken. This is so worth the extra effort so go for it people, best rice ever. Preheat oven to 220C (425F) gas 7. Season fish inside and out with salt and pepper. Brush four 12in (30cm) squares of foil with a little olive oil and put a fish diagonally across the centre of each piece. 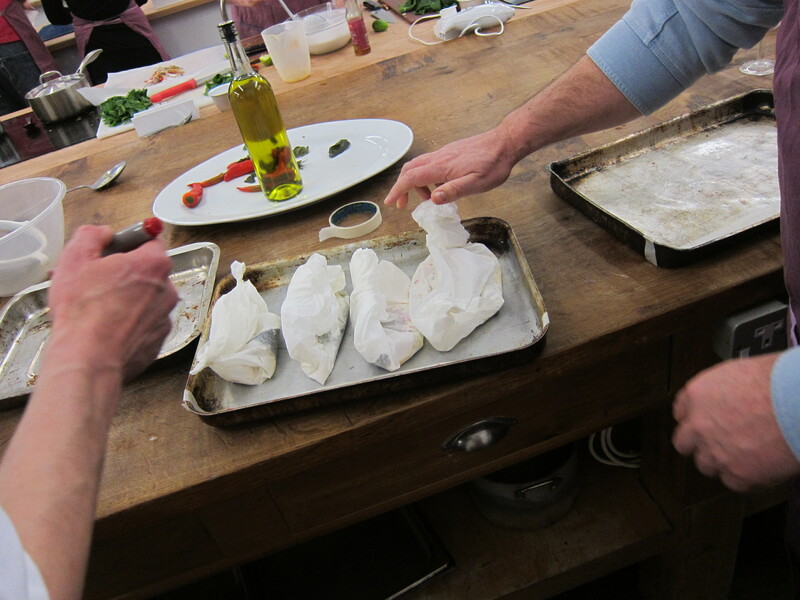 Bring sides of the foil up around the fish and crimp together tightly at each end leaving the top open. 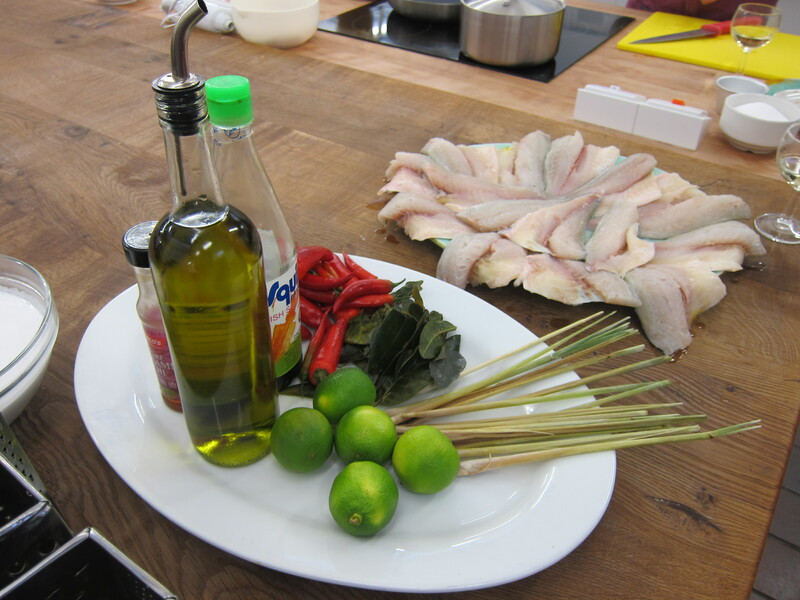 In a bowl mix the coconut milk with the lemongrass and chilli, lime zest, juice and lime leaves. Spoon the mixture over the four fish. 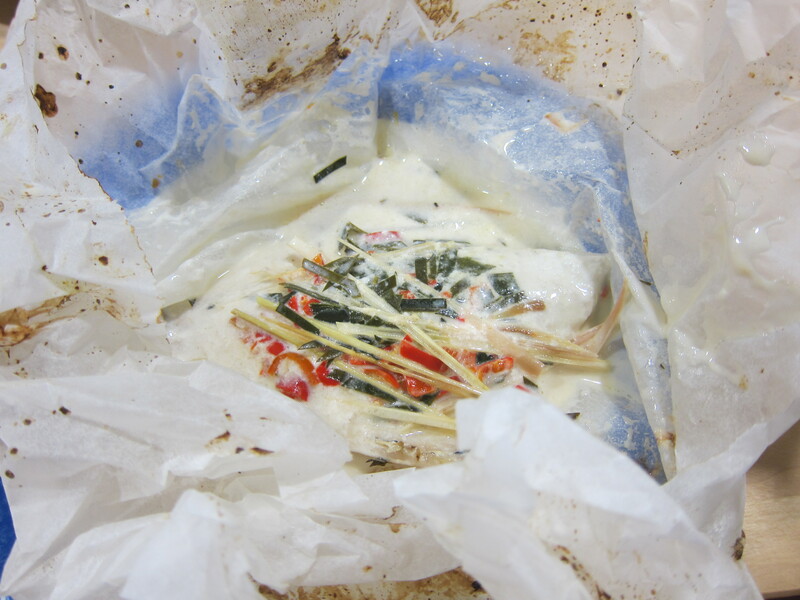 Finally, pour a teaspoon of fish sauce into each parcel then seal well. Put on a large baking sheet and bake for 10min. 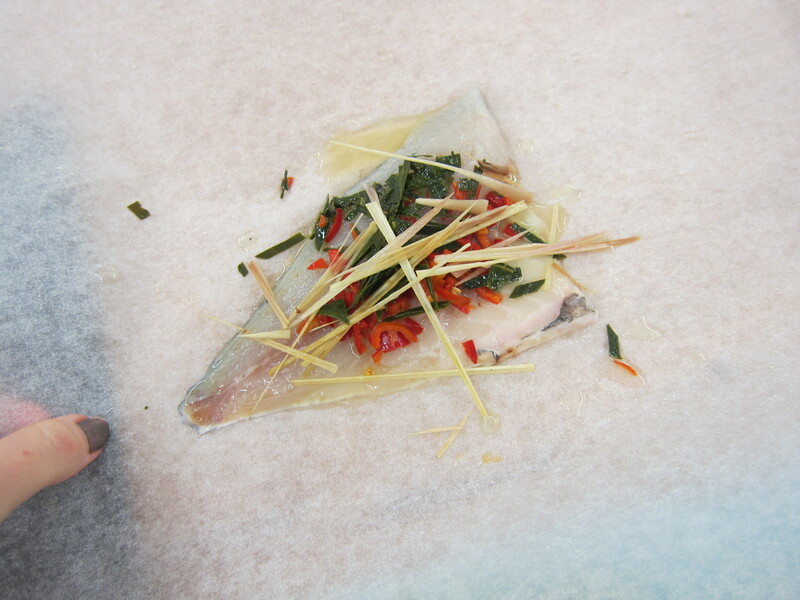 To serve, put the unopened parcels of fish on four warmed plates and allow each person to open up their parcel. Serve with coconut rice. 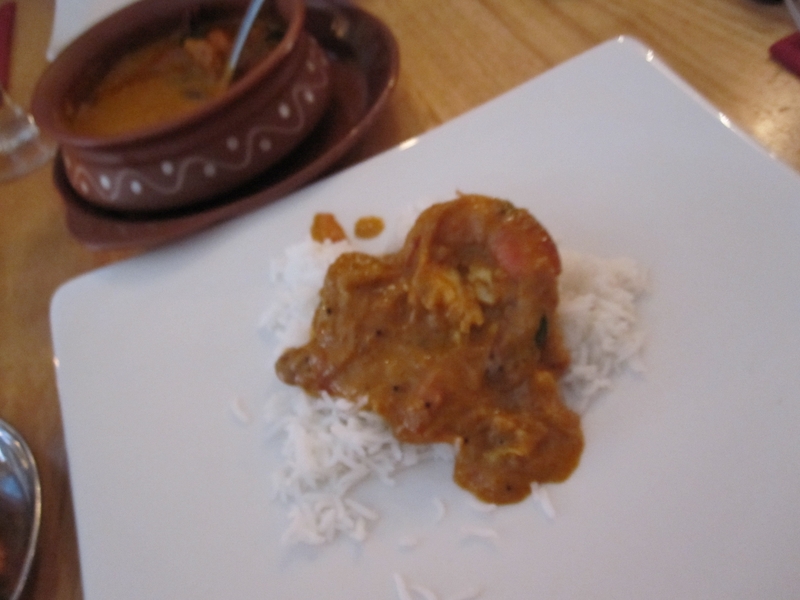 The curry was great though and this really is a good easy recipe that most people will like as you can tailor it to anyone’s heat tolerance and likes and dislikes. My husband has already made this again. Like I said I wasn’t hugely into this dish but I think a few tweaks and it could be good. The dish we didn’t get to make (due to time) was the dessert but the lovely Square Food people passed on the recipe so I hope to make this soon. Roll out the pastry as thinly as possible and line a tart case with it. Bake blind for 15 – 20 minutes at 190°C then for a further 5 minutes with the baking beans removed, until the pastry is completely cooked. 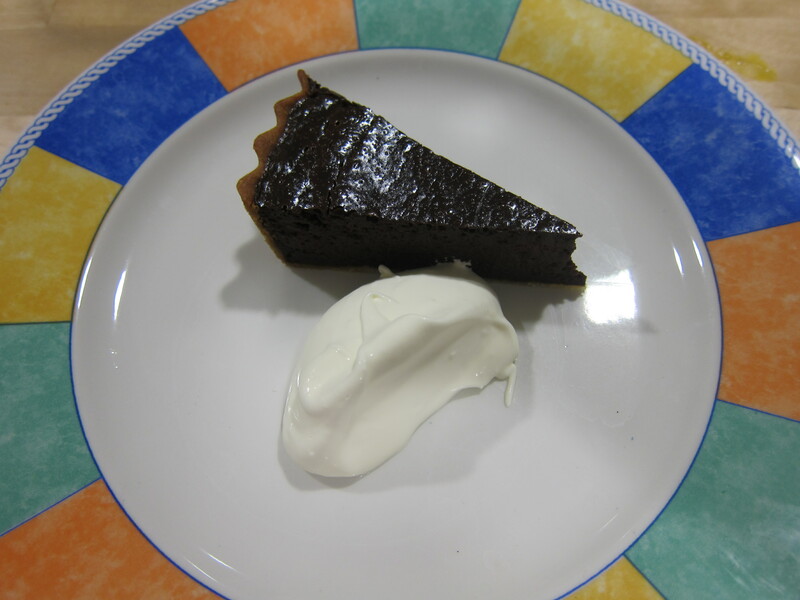 To make the tart filling, bring the cream to boiling point with the chilli flakes then remove from the heat and pour over the chocolate, stirring to combine until the mixture has a smooth, glossy consistency. In a separate bowl, combine the sugar, eggs, yolks and cocoa and then stir into the chocolate mixture. Pour into the sweet pastry case and bake at 150°C – 160°C for 15 minutes until the tart is just set. Remove and cool for 30 minutes before eating. Serve with crème fraiche. 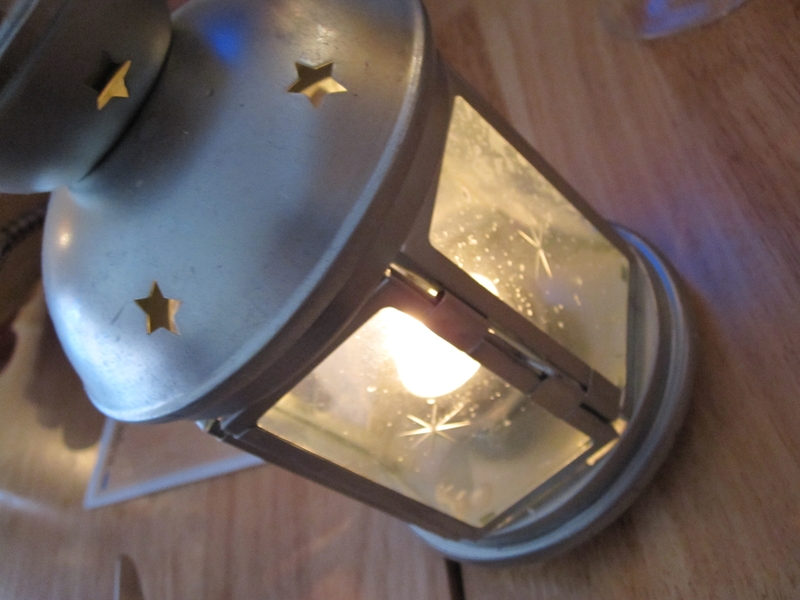 We still have more vouchers to spend and I am looking forward to picking our next course. This one was a great way to spend an evening but as we both cook with chilli and spice a lot at home we didn’t really learn much. So next time instead of sticking to what we know and like I might pick something geared towards something we don’t cook. Check out the Square Food Foundation – they are doing really great things. 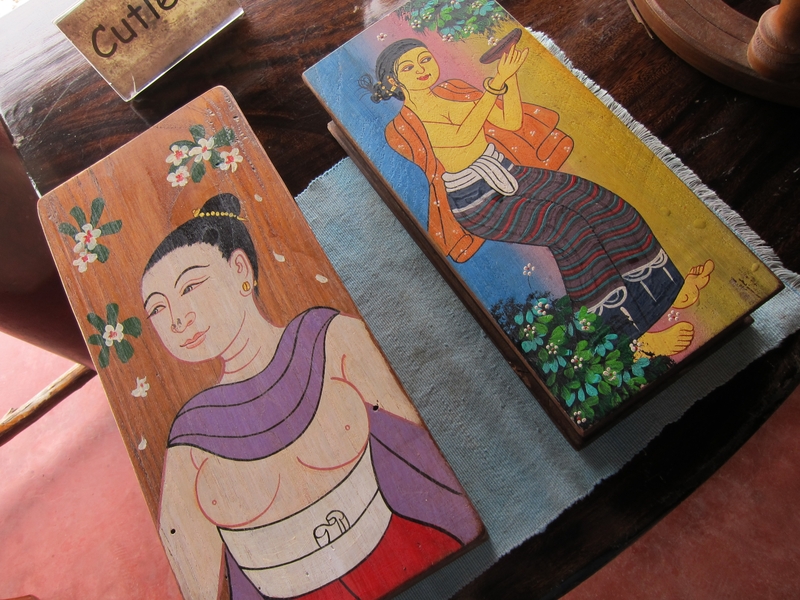 This became on of my favourites in Thailand and I cannot wait to make this at home for friends. 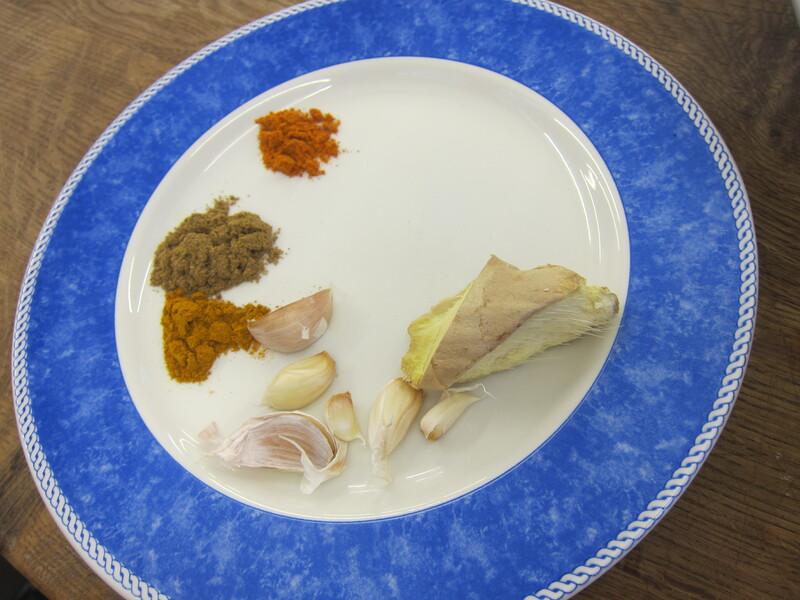 To make the paste just pound all of these ingredients together using a pestle and mortar… preferably a big one. Add the spices first then everything else one by one until a smooth paste is formed. 1. 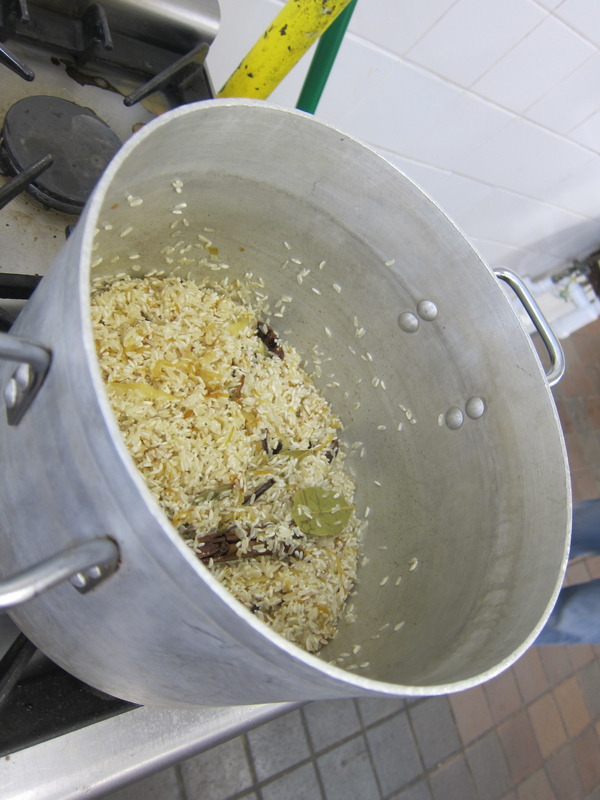 Heat the 2 tbsp of coconut cream in a wok and when hot add the curry paste, fry until fragrant. Then add the rest of the coconut cream and bring to the boil. 2. Add the meat and continue to cook until tender, about 1-2 minutes. Do not let the meat get tough. 3. 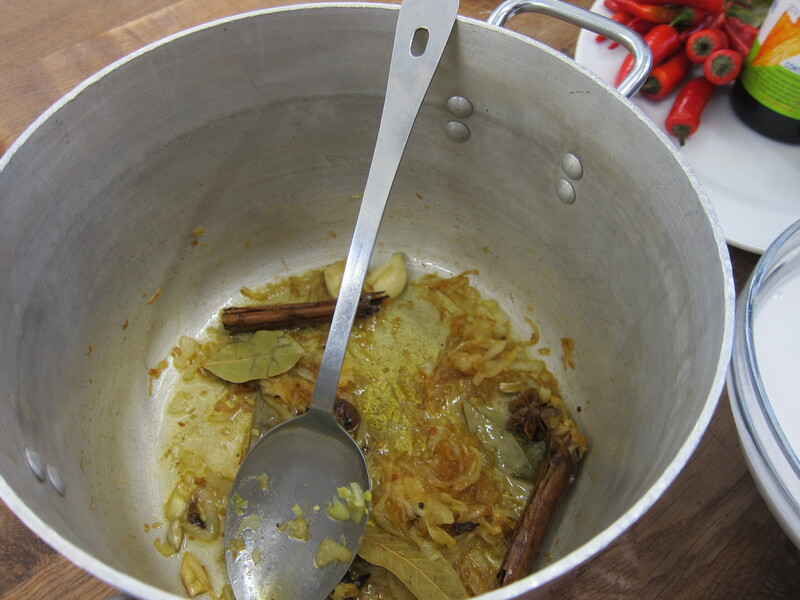 Season with the sugar, fish sauce, peanut butter and kaffir lime leaves for 30 seconds and remove from the heat. By this point the sun has fully broken through the clouds and it was hot. 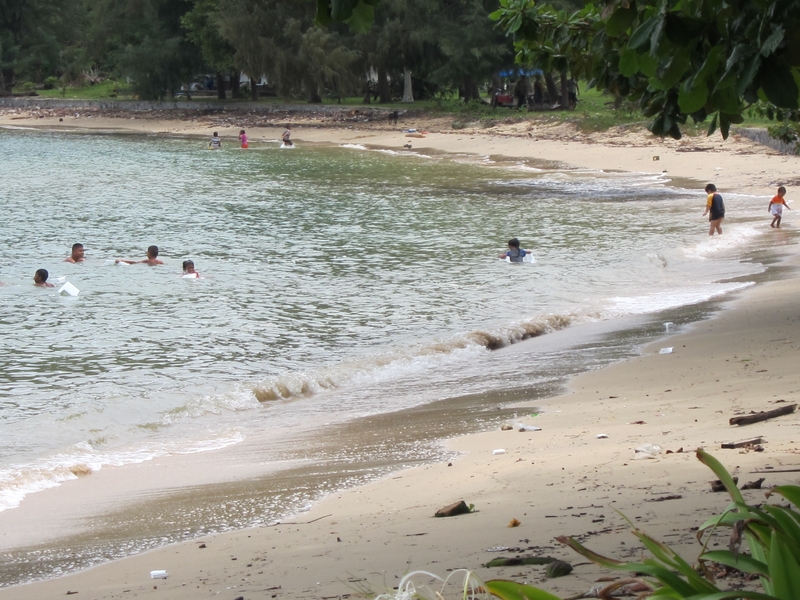 These children found a great way to cool off. 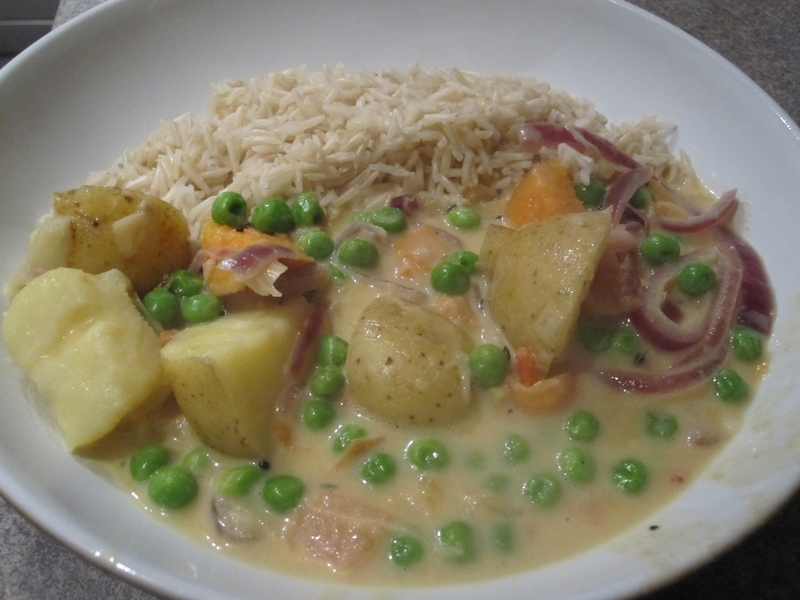 This is a curry I eat a lot, it’s supposed to have fish in it but when I feel like I need to be healthy I use half fat coconut milk and fill it right up with vegetables and eat lots of small bowls with brown rice. I apologise for not having exact measurements either, but I do this from memory and taste now… these are about right for about 4 large servings. Before I cook the curry base to speed everything up I boil my potatoes in a pan and add them at the end. 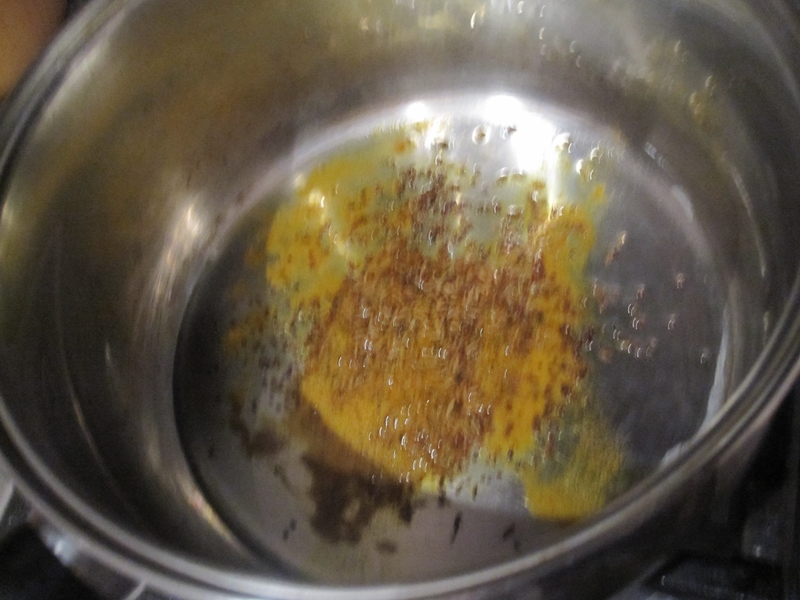 First step is to pour a big gloup of oil into a big saucepan and heat gently before adding the mustard and coriander seeds and the turmeric and heat until they start to pop. Then add the chillies and cook for a further two minutes, before adding the garlic and onions and cook gently until they become translucent, roughly 5 minutes. Then add your chopped tomatoes. Cook for a further 5 minutes before adding the coconut milk, stir and cook for 2 more minutes before adding your vegetables. 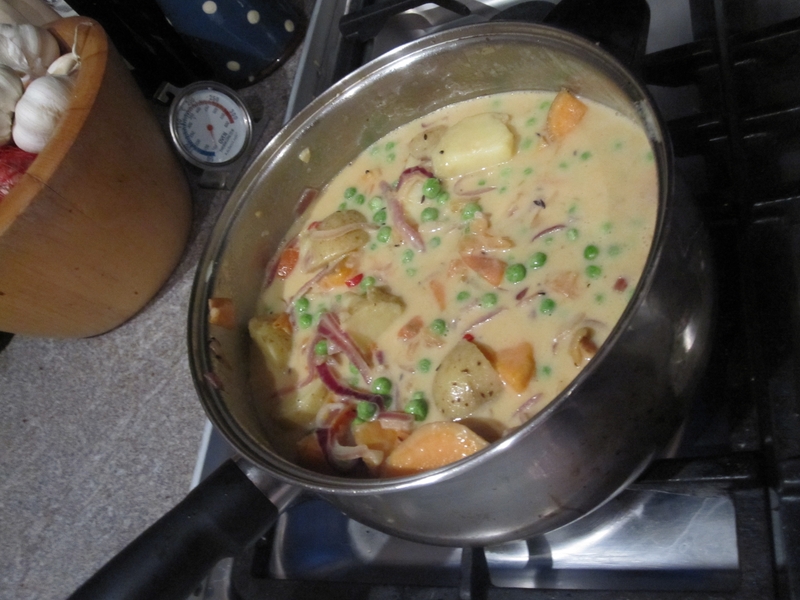 I love this curry, the only changes I have made are using light coconut milk, leaving out fish and fish stock and adding vegetables, and leaving the skins on the tomatoes. 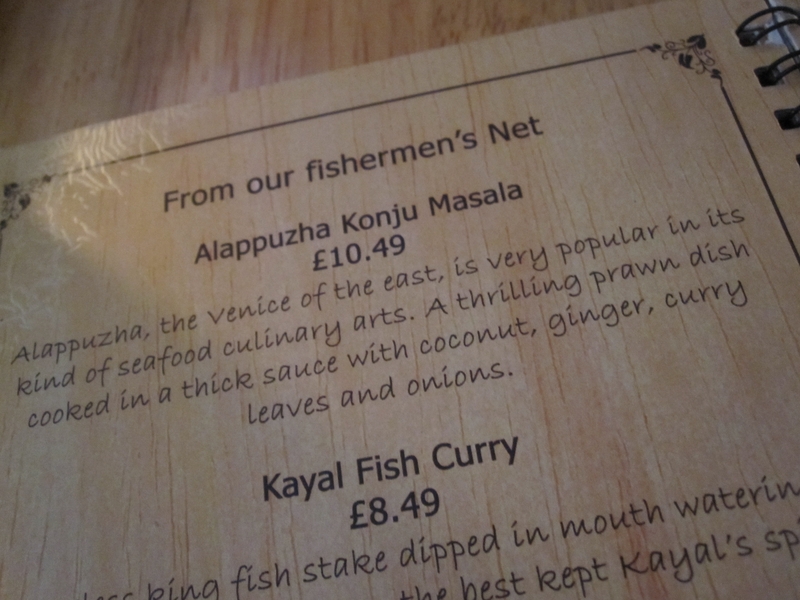 You can add whatever you like to it, it is amazing with fish too. 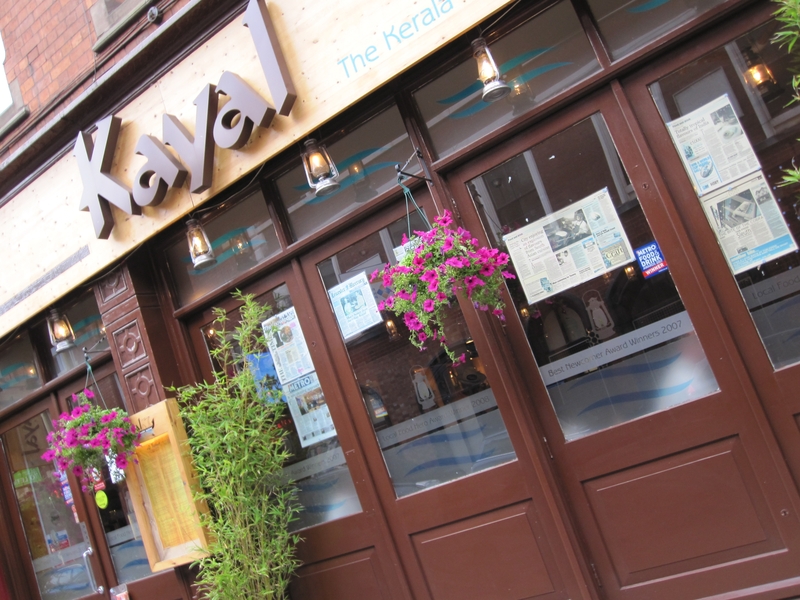 Kayal serves healthy South Indian food and if you go to their website there is lots of information about the food, how it is cooked and the area of India the food comes from. I will tell you now do not go here if you have to do anything afterwards, the food was A MAZ ING and I could not stop eating mine even when I was full to burst, all I wanted to do afterwards was snooze! 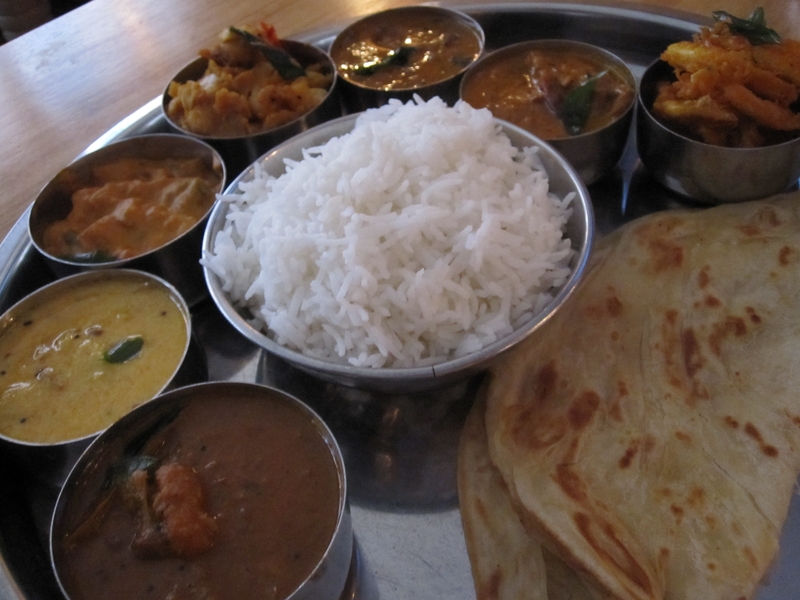 The Boy and his Dad decided to go for the Thali, which was more of a tasting plate of lots of dishes than what you would normally think of as a Thali. 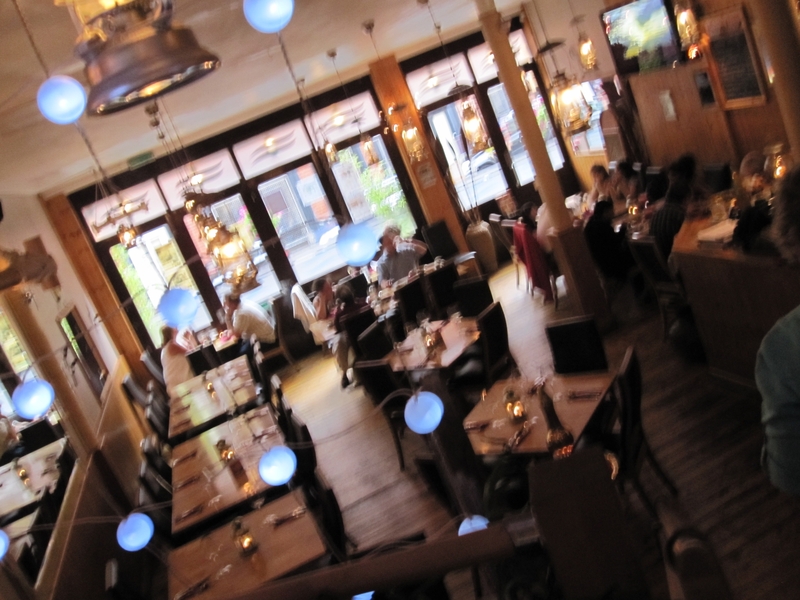 If you are in Nottingham (or Leicester) and you decide to eat here I do suggest you starve yourself and go for it or share with your dining partner! 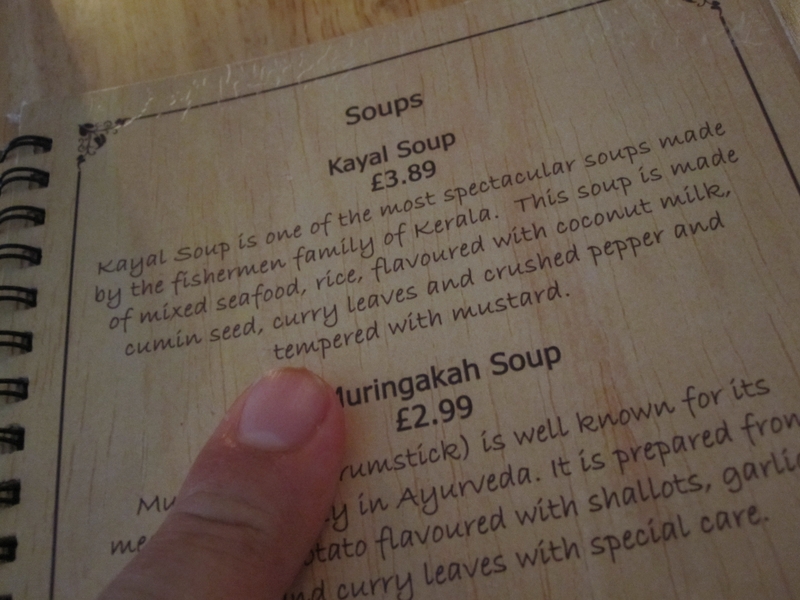 I had what was basically a prawn masala, but it was no ordinary masala, it was, at the risk of sounding like a broken record; amazing. I have never seen prawns this big in a curry before. I only got 4 prawns but this is not a bag thing as they were ginormous! 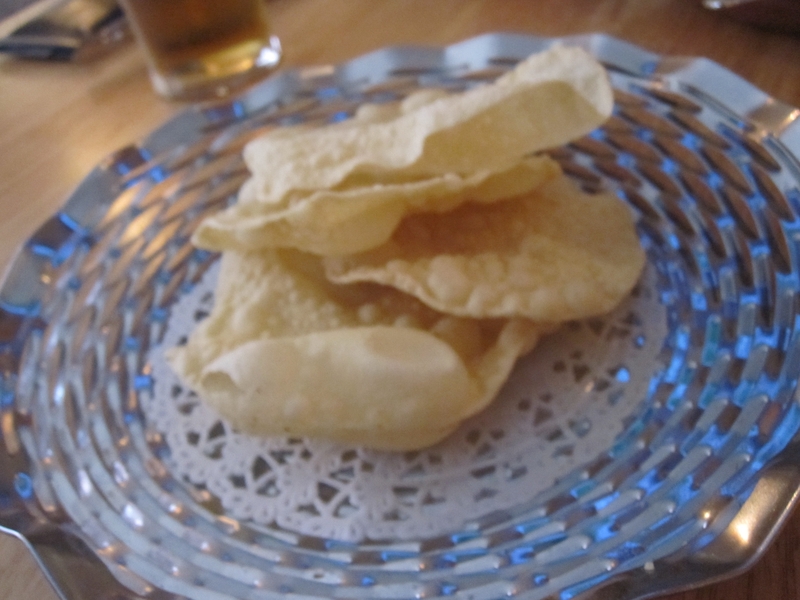 The Boy’s Mum had a byriani, which came at the same time as my food hence no photograph as we all tucked straight in! She was also very impressed. After all that we were all way too full for pudding but since the Boy and his Dad had one included they had to see it through. 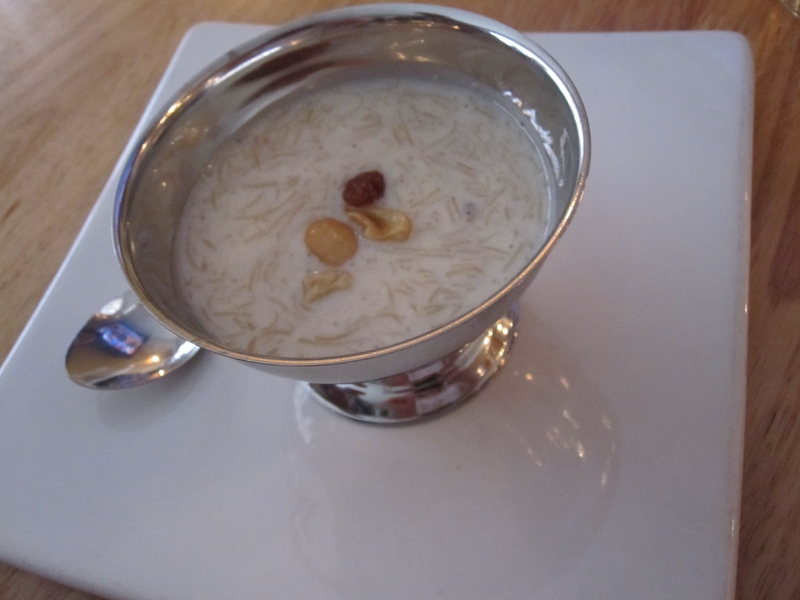 What came was a kind of semolina pudding which was warmish, really refreshing and they said it actually made them full a little less full. 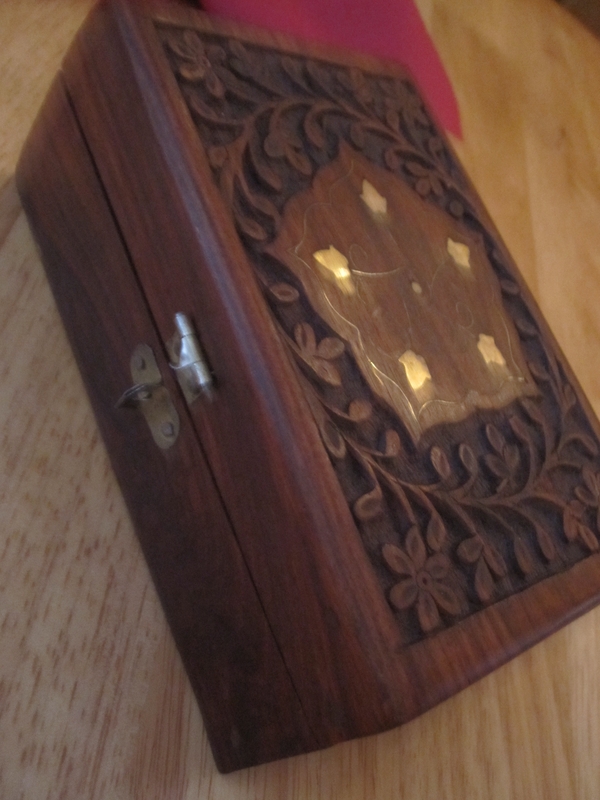 I also loved how they brought the bill and mini chocolates in a wooden box… cute details are the things that make me love a place. 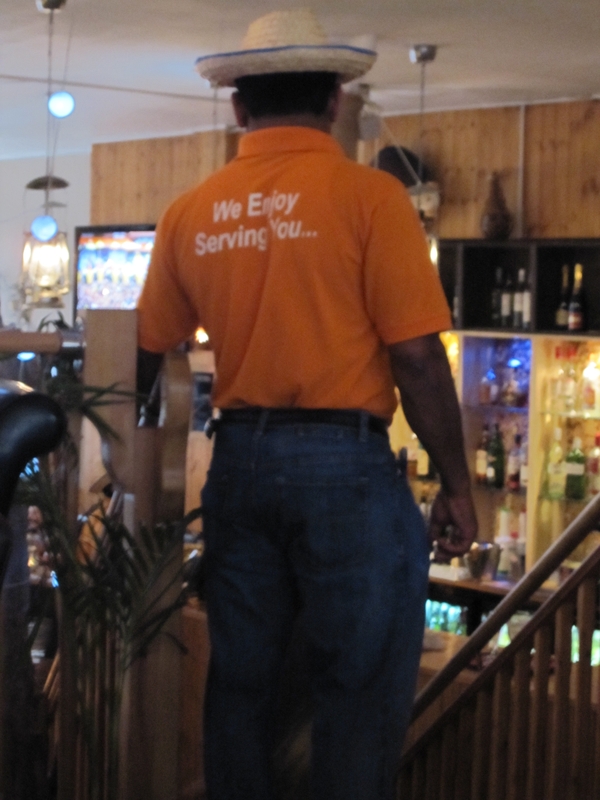 Reeeeeeeeeeeally recommend this place, cannot wait to go again it’s now Thursday and I am still thinking about that curry and those prawns… luckily the Boy’s sister lives in Nottingham so hopefully we will have another chance soon. 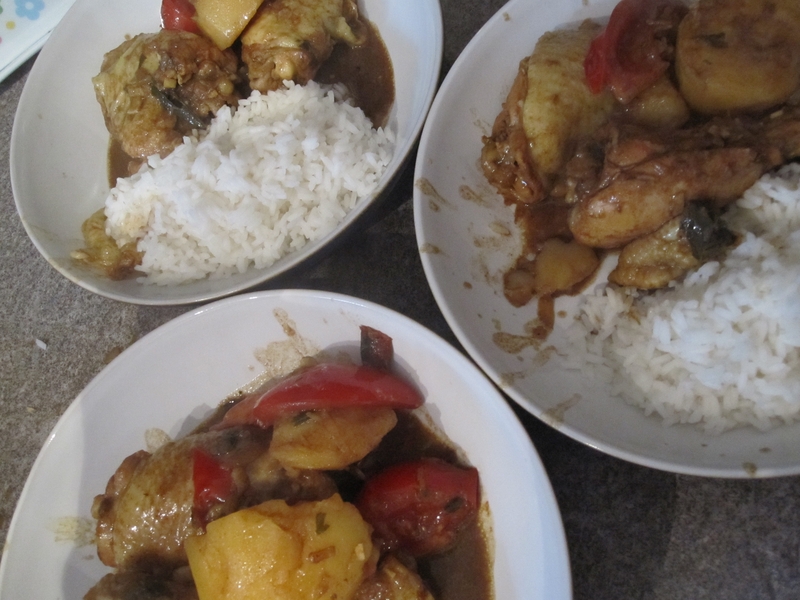 So my little brother came to visit from Beirut this week, and after reading my blog was expecting a nice dinner so I couldn’t disappoint… and decided to make a curry, quite a rich chicken curry as I think he has been living on hummus! 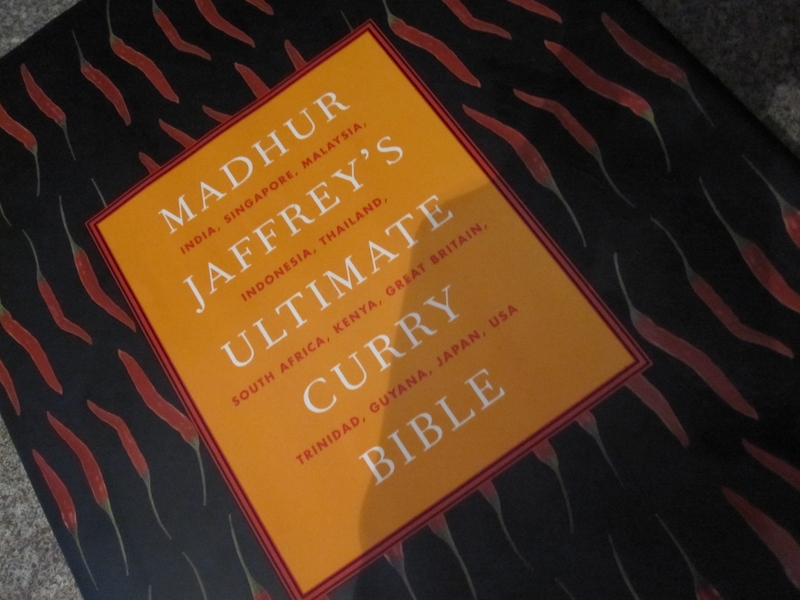 I got the recipe from Madhur Jaffery’s Ultimate Curry Bible, this book really is a curry bible there are curries from all over the world and the recipes are easy to follow, this is the first one I have tried (it’s the Boy’s Book) and it came out great. 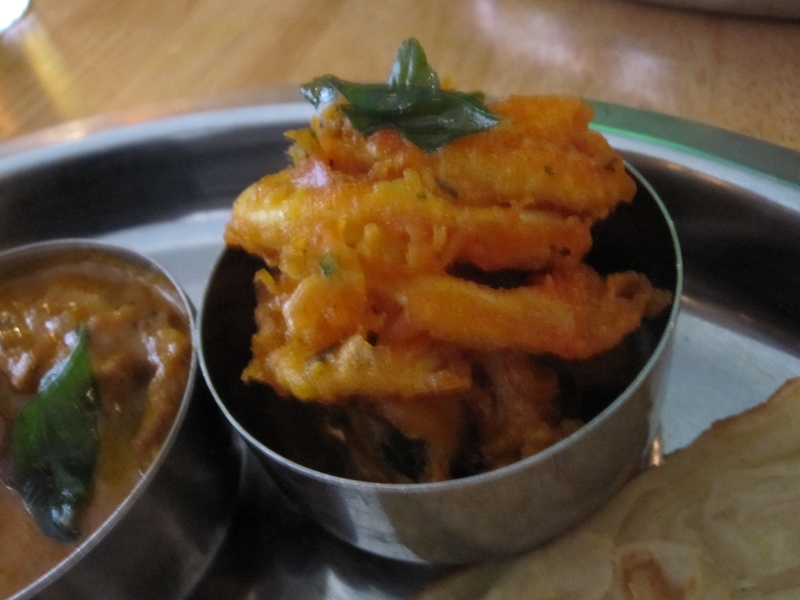 “Singapore’s curries are like no other. This South Indian-style one is a blend of mostly Indian seasonings put together with simplified Malay ease. 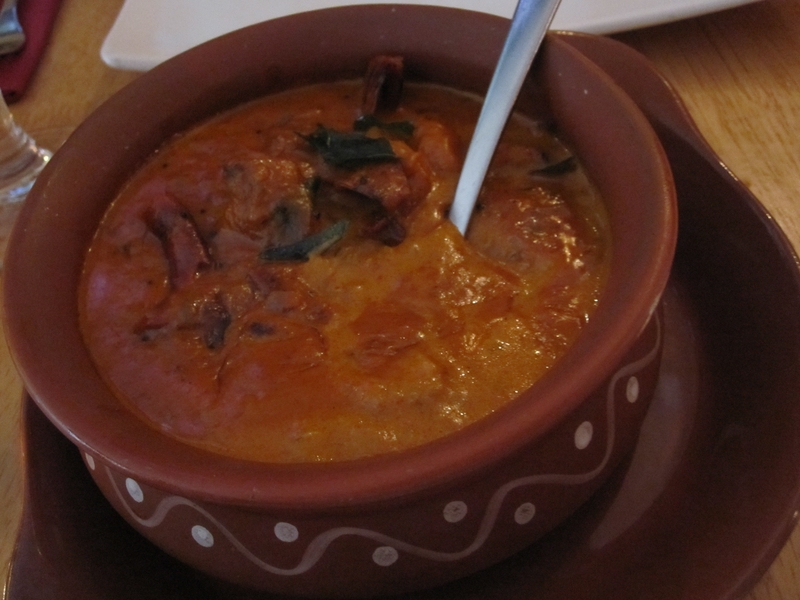 Hokkien chefs who cooked these hybrid curries have been replaced with Indian ones, with different sensibilities, but these curries can still be found in small restaurants and in most homes. 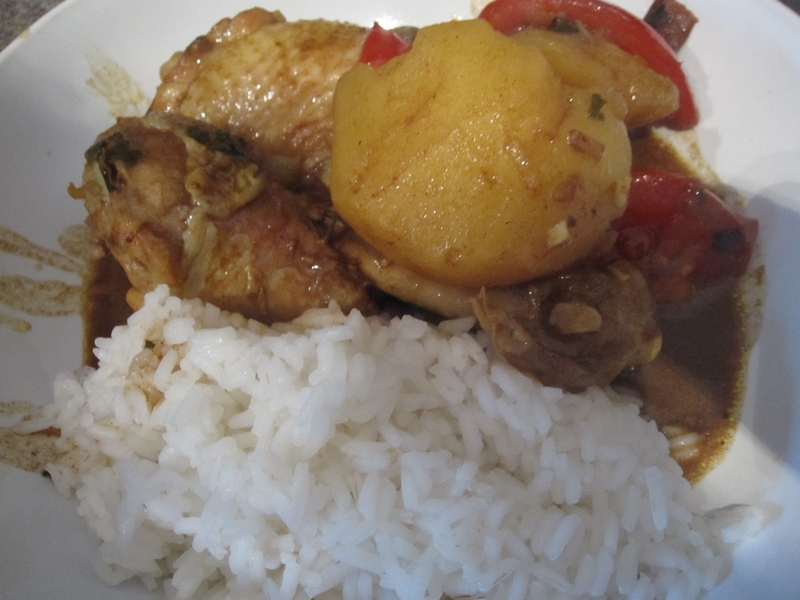 Rub 1 1/2 tbsp of the curry powder all over the chicken pieces and set aside. Stir and fry for 5 minutes or until golden. 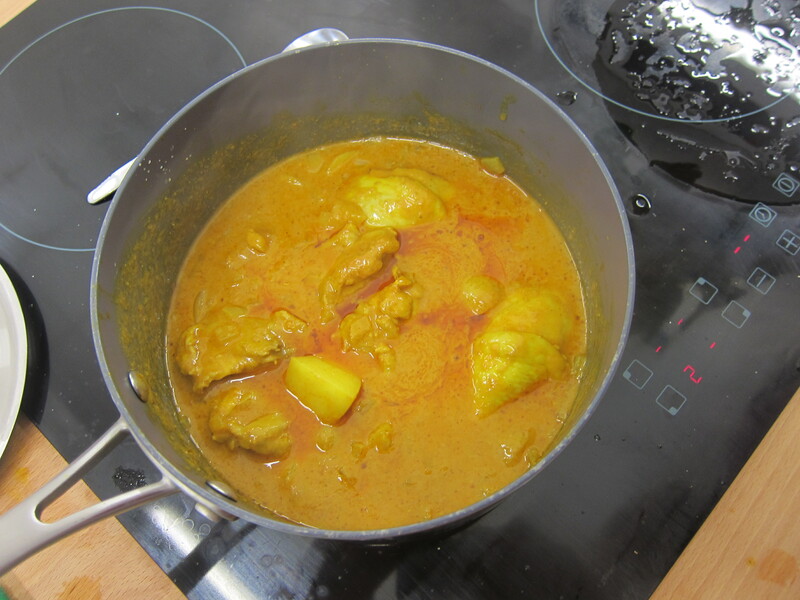 Add the curry powder-water mixture and continue to stir ad cook for about 4 minutes. Now add the chicken, potatoes, salt and 250ml water. Stir and bring to the boil. 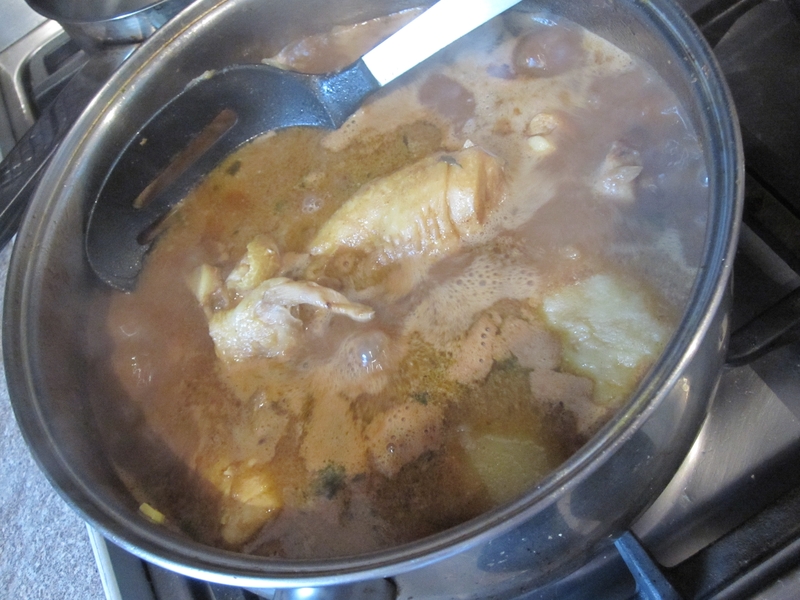 Cover, reduce the heat to low and simmer gently for 25 minutes. Add the coconut milk and tamarind. Stir and cook, uncovered for another 3-4 minutes. This dish can be prepared up to this point several hours in advance. Just before serving, reheat the curry if needed and add the tomatoes and the remaining ginger and garlic. Stir and cook, uncovered, for 3-4 minutes. 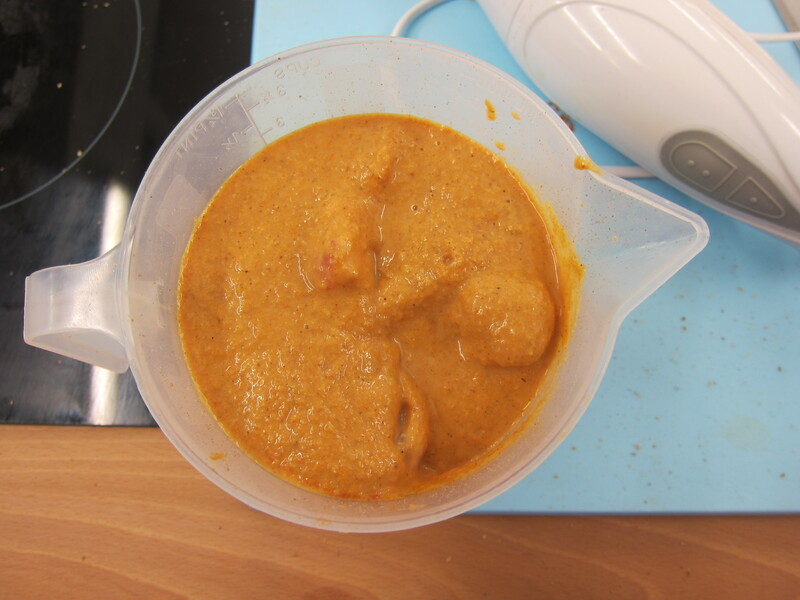 As you can see it’s quite a thin curry and quite messy, so be careful and get some nice bread to mop it with, its delicious!